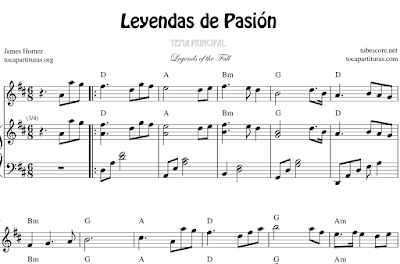 Today we have Piano and melodic Sheet Music of the film Legends of the Fall. These sheets are some special. They are to play in a duet with a piano. For example if you play the flute, you can play with a piano accompaniment you. 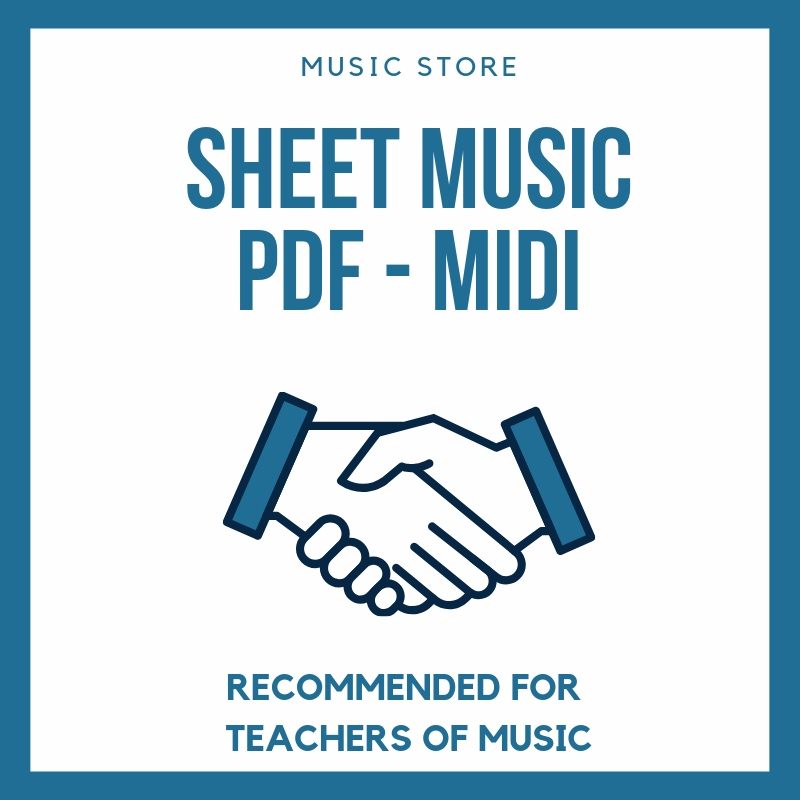 If you are trumpetist, saxophonist, clarinetist... or you play another instrument with our sheet music you can do a duet, trio o even a quartet, always you include a piano for accompaniment. -Saxofón, Trompeta, Clarinete y Piano. -Violín, Viola, Flauta y Piano. -Trombón, Saxo Tenor, Fagot y Piano. For me is a wonderful soundtrack and it is a very good form to share with all our followers. So you can enjoy playing with your friends. 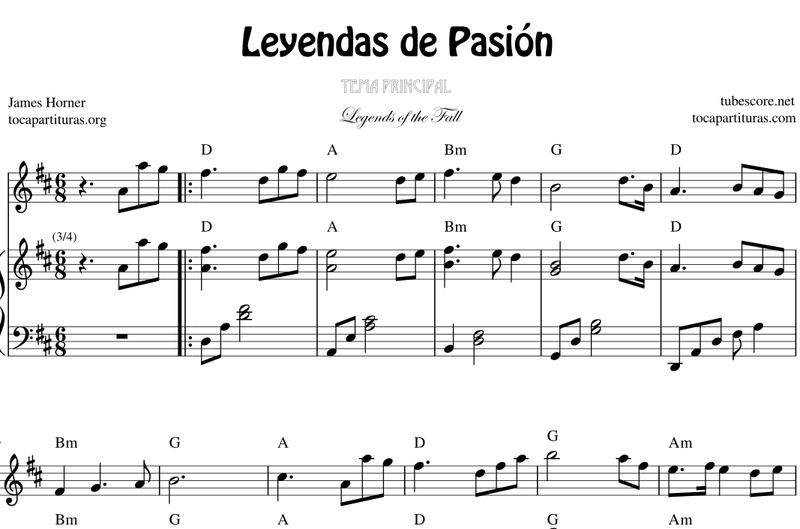 These Sheet Music will be a good resouce for Music Education and Music Class for Conservatory Teachers. Also recomended for event musicians, specially for piano and violin, because the melody is so celestial.